- 3 card-size slots,only add little bulk with any kind of cards & cash & note in it. - Made from synthetic leather combined with soft,easy snap-on TPU,light weight and ultraslim. - Backside folds become the perfect Face Time and movie-watching stand. - Built in a magnet to attach the snap strip, hold securely without worry . 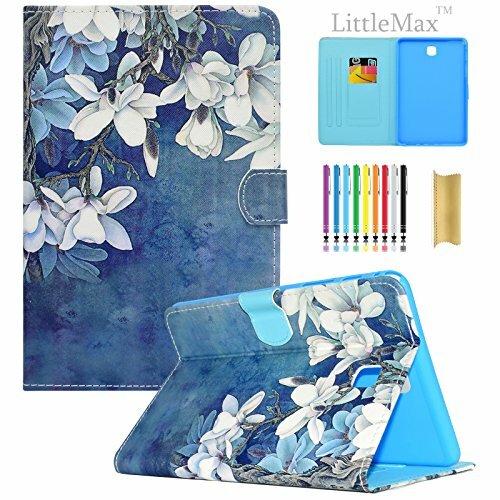 Colorful and lovely art design PU leather case for Sumsung Galaxy Tab A 8" SM-T350 ONLY,unobstructed getting all ports and buttons. 3 card-size slots for conveniently storing your cards & necessary notes around. Folding leather case allows easy converting the back flap into a kickstand,give you a comfortable viewing angle while browsing and watching videos. The volume and power button are easily accessible for a seamless experience. If you have any questions about this product by LittleMax, contact us by completing and submitting the form below. If you are looking for a specif part number, please include it with your message.